On the edge of a decision. New "older" pilot. Which will be easier to land in similar conditions. Avionics about equal. Appreciate any input from anyone familiar with both. I'm guessing the Tecnam P2008 will be easier to land *at first*...at least that is true for the P-92 Echo I have flown, which I believe is the forebear of the P2008. However, once you are familiar with the airplane's weird sight picture and how best to land it, I'm guessing it's a wash. I doubt the P2008 is any better at getting into and out of short fields than the CTs, they really excel at that. But they are both really, REALLY good airplanes. I don't think you can go wrong either way. I know that's not much help. Maybe think about it from a different angle: The CT is all carbon fiber, while the P2008 is a carbon fuselage with metal wings. The metal wings with struts will be slightly draggier, and I'm guessing the CT might be a few knots faster. But the metal wing and tail will be far easier to repair if something gets dinged up. If you go with the CTLS, think hard about which wheels to get. If you want to be on grass or rough fields all the time, get the tundra gear. Otherwise skip it and get the smaller wheels. My CTSW has the small wheels, and I still land on fairly rough grass fields with no issues, and I'm 4-8 knots faster than friends' CTs with the larger wheels. If you are looking for a cross country machine going into mostly pavement with some grass fields, I'd get the smaller wheels. Others will have different opinions. Or just buy the one you can get the best deal on. Just my opinion. Your experience my vary. No warrantys expressed or implied. Yada...Yada. They should be about the same. The aircraft are both high wing LSAs with 100hp ROTAX engines - center stick controls and right hand throttle quadrant. What matters is your training in the aircraft until you reach a true comfort/confidence level landing in various conditions (short field, grass, winds, etc) and then frequent practice landing. AND setting you personal minimums such as runway length, cross-wind component, etc. - raising them as your experience builds. 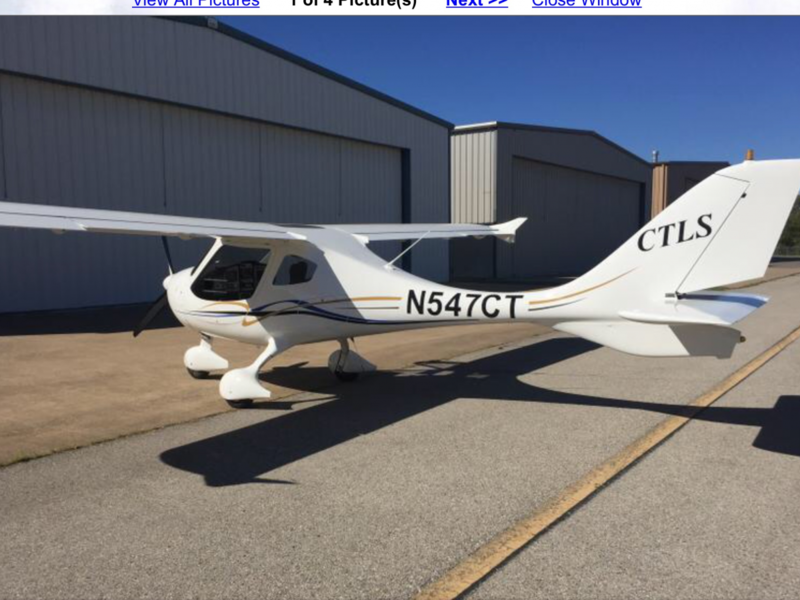 I have a 2008 Tecnam in my hangar right now for my class this weekend. The cabin is 5.5" wider, it handles taller occupants, has more knee room, more cargo area, because of the way the CT door opens it's easier to get in and out of and I like the view out the cabin in flight better, no wing struts to walk around (minor) and a parachute. I would also say take a good look at the useful load for both. BTW, the P2008 wasn't introduced until 2009, and I have an early production P2008 that I have done maintenance on that didn't receive its airworthiness certificate until late 2010. All of this and the fact Tecnam and others were always behind FD in sales....why? As Roger just stated the plane has a MUCH smaller cockpit and has a metal wing and wing struts. It also has less range 630 v 900, less useful load given the added weight of the metal wing. If you are looking at the plane for the Turbo option, why? A turbo is for high altitude flying far above the 10k limit of Sport Pilots and wasted below 15k feet for the most part. My friend with the Tecnam decided to get his Tecnam with a certified 912S. That opens up some other issues with cert. parts. As a Tecnam P2008 owner, I can say I am very happy with the way this aircraft lands. Compared to the Skycatcher I mostly trained in (which I know is not the CT), the P2008 is much more solid and straightforward to land. It's nice to have choices, and best of luck to you! Many of you know me but for those who do not I have represented Tecnam aircraft since 2010 when the first P2008s were sold. Flight Design builds a great aircraft and has a strong following. This is proven by the sales numbers and the enthusiastic owners right here on this forum. There is no doubt it is a good product. With that said I am confident most will find the Tecnam easier to handle and more stable in flight and turbulence. This is based both on my experience and customers who have flown the CTLS, CTSW and the P2008. The P2008 is plainly a larger, longer and heavier aircraft. The first P2008s came to market in 2010, at that time a majority of the CTSWs and CTLSs were already in the hands of the customer. Tecnam was still using a distributor here in the US and they were not actively marketing the product. I do question the comment that the P2008 is 5.5 inches narrower that the CT. I agree the CT is slightly wider but not a lot. Paolo Pascale the president of tecnam is 6'6" tall and easily fits in the P2008. Baggage space behind the seats of the P2008 is clearly larger than the storage space of the CT. Possibly these comparisons were mistaken with our older P92 model? Planes are like Chevy's and Ford's. You may like one over the other, but they both get you there. What ever someone likes here it's just personal preference and each has their reasons, but they are all okay. If you like it buy it. The Tecnam is a gorgeous airplane. "plainly a larger, longer and heavier aircraft" not a sales advantage in a niche that limits the max gross to 1320 lbs. The same options for engine , avionics and other goodies are offered on all factory SLSA. But useful load and range matters to some too. Many argue even on this forum about the slightly larger useful load in a CT when equipped with a 912ULS versus a 912iS fuel injected engine. So the idea of also suffering the added weight of a metal wing with struts seems oddly a minus for the Tecnam. Still, aircraft are personal things and what this guy ends up getting will be a choice based on what he thinks is important and how it fits how he wants to fly.
. So the idea of also suffering the added weight of a metal wing with struts seems oddly a minus for the Tecnam. 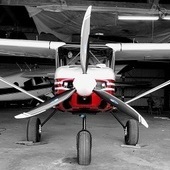 How do you know the wing on the Tecnam is heavier? Is it just an assumption on your part? Personally I don't know how heavy the wings on the Tecnam are, but to assume that they are heavier because they are aluminum is ludicrous. Having just lifted a set of wings on my CT just minutes ago, I can tell you that they are not as light as one might think. A few years ago I took a damaged Allegro in on trade for a use CT. The aluminum wings on it which were larger than the wings on a CT weighed less. I really liked training in the Skycatcher. It was my solo airplane, so there's a strong attachment there. Very fun, stable aircraft. On the negative side, future factory support, the seats, and the spartan interior. You can't get parts for the Skycatcher...Cessna destroyed all the reminaing planes and parts last month. "Cessna has scrapped the remaining inventory (photo gallery) of its 162-model Skycatcher airplanes, capping the end of the company’s light-sport program. AVweb has learned that the unsold Skycatchers, which the company confirmed in 2014 amounted to about 80 aircraft, were destroyed as shown in photos of an assembled but unfinished Cessna 162 being dropped into a recycling container as similar aircraft sit in storage. Cessna told AVweb on Thursday that it "utilized the remaining inventory for spare parts to ensure the current fleet of fielded aircraft can receive ongoing support. The company did dispose of what remained after salvaging usable parts." In response to questions about the decision, the company did not specify further." Thank you for setting the record straight again. There have been a few people I know who decided the CTSW and CTLS weren't what they wanted. The majority of those who have the CT's like them. Personally, I think my CTSW is a a great airplane. I hope your purchase of the CTLS works out for you and wish you safe flying. As a former owner of a CTLSi and still a big fan I think you are making a great choice. 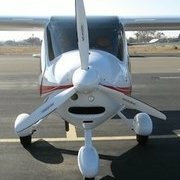 This forum is a great support site with a ton of expertise on it...so get ready for a solid aviation experience and let us all know how you are progressing. I did not know this before I bought my CTLS, but this forum has added a lot to my experience. There is a tremendous amount of info and experience here. I don't know how it is for other planes, but being an LSRM-A who only works on his own plane I don't know how would be possible to improve the value of this resource.